Throwing a slumber party? Get your pajama pants ready!If you’re throwing a slumber party and you want to make it extra special for you and your friends, you can create endless ways on how to make it happen. 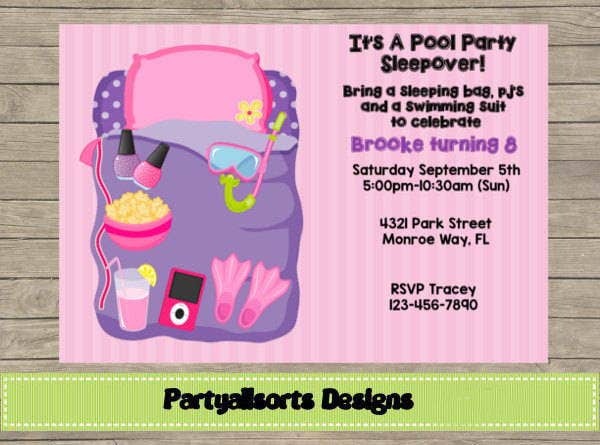 First off when throwing a slumber party is making a slumber party invitation Designs. 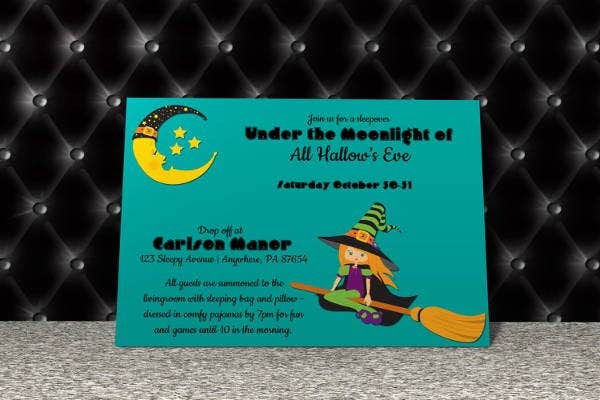 On your Party Invitation Templates, you have a bunch of different kinds and unique ways on how to get creative with it. Think outside the box and personalize. Your best girl friends will surely be grateful that they have been chosen to get invited to your slumber party. 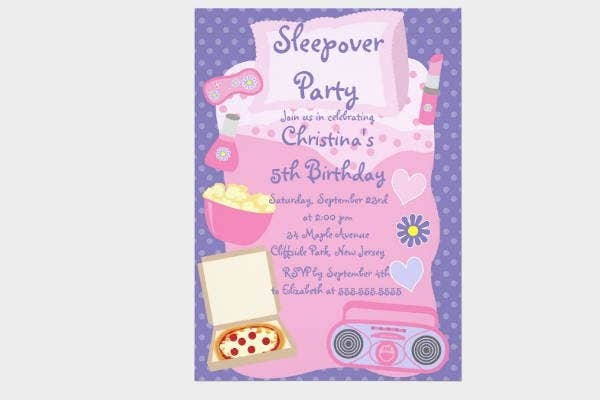 On making your Slumber Party Invitations, you can make your ideas and imagination flow. 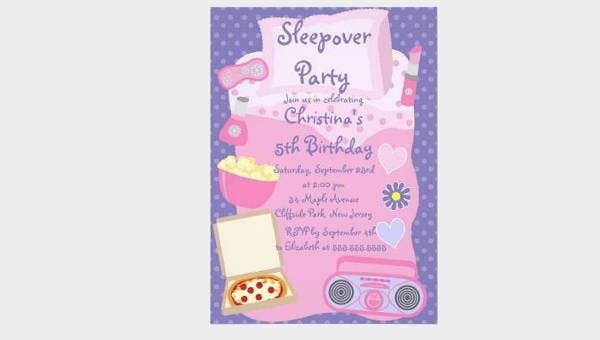 Depending on which kind of theme you have for your slumber party, you can also integrate that with your slumber party invitation. 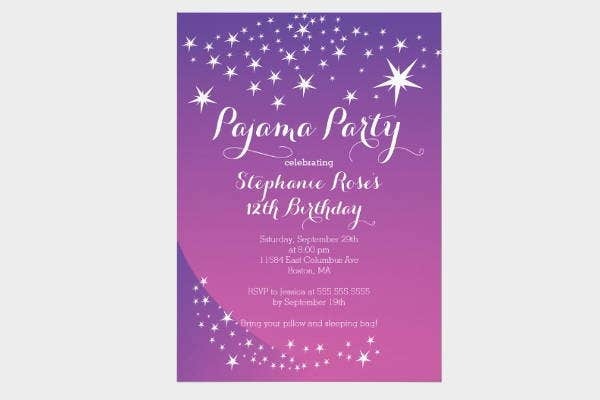 You can opt to have it handwritten with artsy or popup designs fitting to your theme, or you can also have it digitized and send it over the web or your friends’ social media account. Or you can also have it n both ways and/or do a little mix and match, just enough to get the best of both worlds. 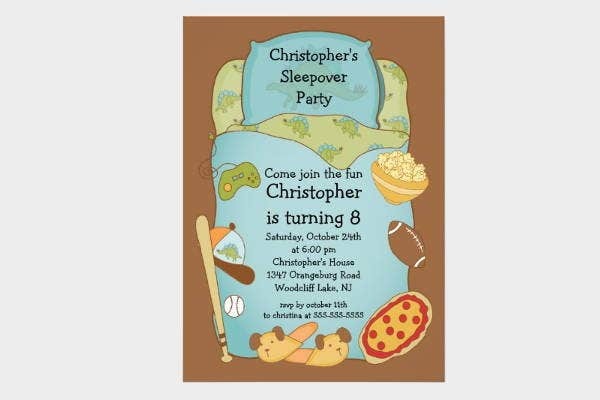 Personalize each invitation. 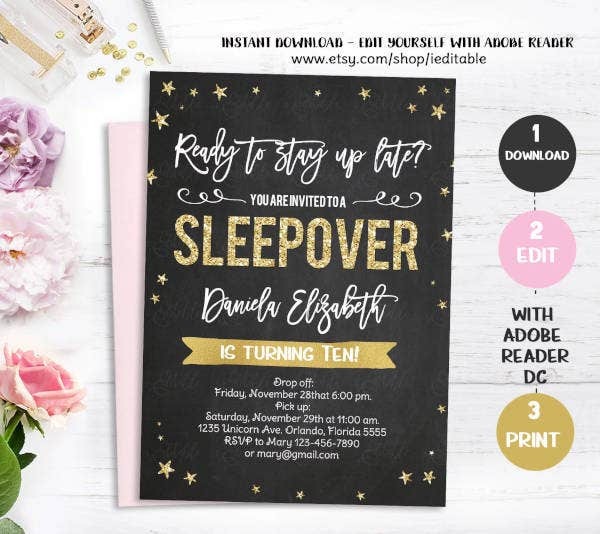 Personalizing each single invitation is essential if you wanted your guests to feel appreciated and valued to take a part of the slumber party. Have a little something for the memories. 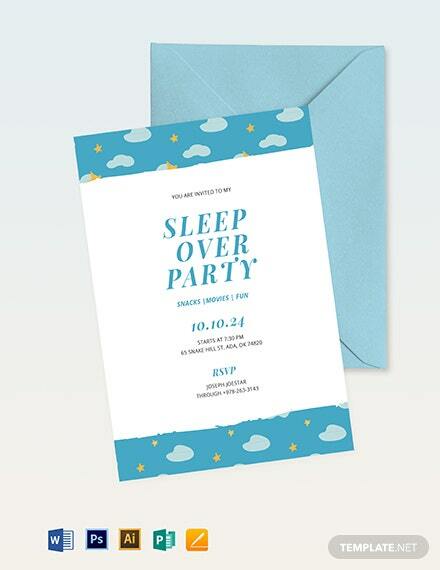 This is optional, but if you want to go the extra mile, you can opt to attach a matching friendship bracelet on the slumber party invitation cards to go along with it. It can also count for the memories. Be unexpected. Have that surprise factor. This is could be anything as long as there is a surprise wow factor to it—in a good way, of course. Let the Slumber Party Begin! 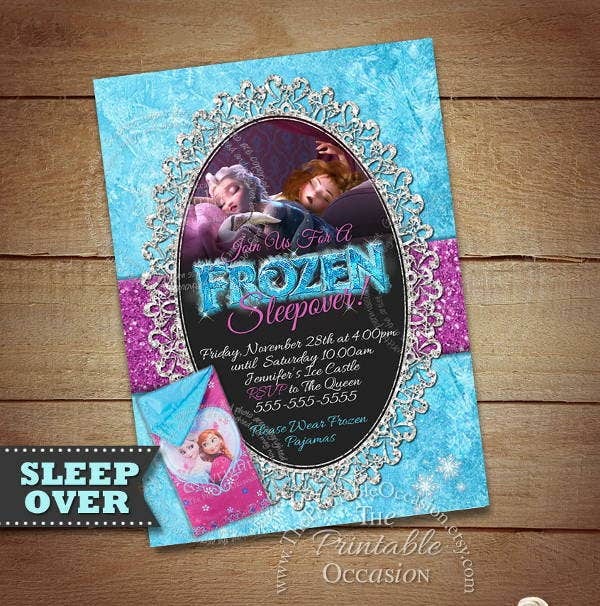 As for your slumber party invitation cards, basic information such as the name of the person that you wanted to invite, the location or where the slumber party will be, the time of the slumber party, and, lastly, you can have any notes or requirements such as wearing pajamas or bringing extra clothes for the slumber party. 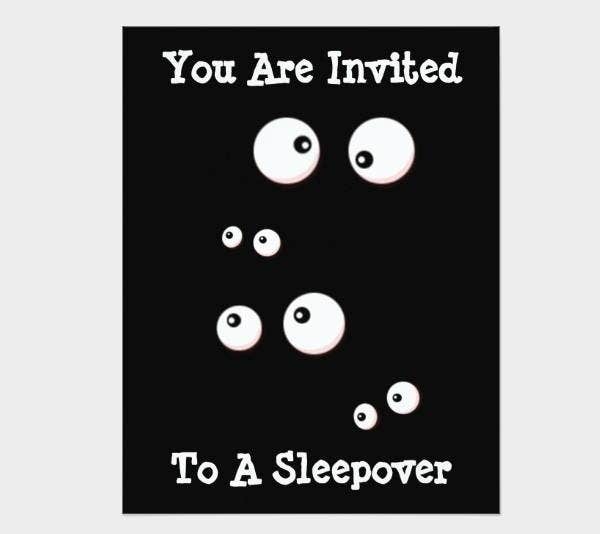 As long as the information above has been provided, you’re free to design your slumber party cards into whatever your slumber party theme is. It’s fun and easy to make. All you need to have are two thick white papers, pencil, eraser, scale, crayons and sketch, decorations (if you want, this too is optional), cello tape and a pair of scissors, and pins. Always remember to be playful and have fun. 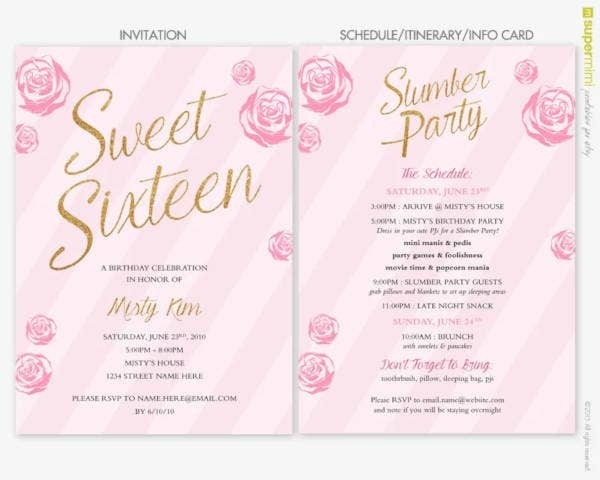 If you can’t find what you’re looking for on this page, check out this resource of more generic Invitation Templates you could download and design from scratch. Most templates we offer on our website our free, but some of them may require you to create an account or shell out a modest licensing fee.